My first fußball match! Woohoo! 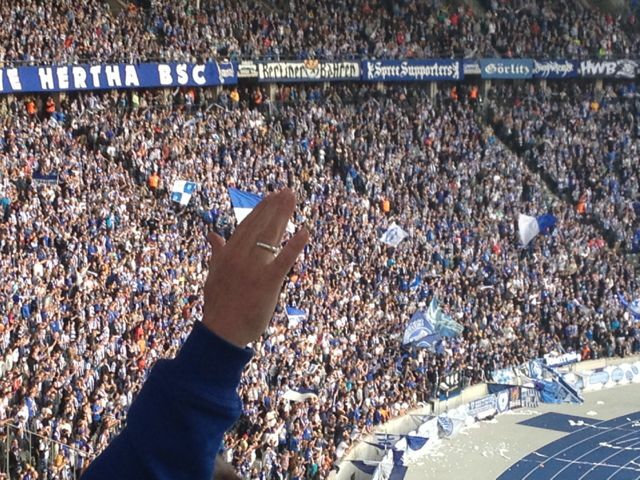 Hertha Berlin vs Mainz. 3-1. Another stop in at the Olympic Stadium, erected in the Nazi era (Hitler had all the anti-Jew propaganda taken down/covered up just for the occasion). 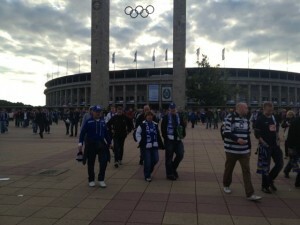 This entry was posted in Berlin, Europe, Germany, Travel, Uncategorized and tagged fußball, Hertha Berlin, Mainz, Olympic Stadium by admin. Bookmark the permalink.